Hi I’m Murray! I live with my fiancée Louisa and together we have our beautiful daughter Isla. I’m friendly and down to earth, good humoured and a perfectionist at heart. I love to travel and discover the natural world and am a big fan of music. My life behind the lens started as a cameraman and editor for broadcast television where I worked for over 10 years shooting documentaries. I bought my first DSLR in 2007 and after taking it around the world on my travels I realised that my true passion was taking still photographs that really captured the moment and told a story. After shooting my first wedding I enjoyed it so much I decided to become a documentary wedding photographer specialising in natural, fine art images. Having shot over 300 weddings throughout my full time career it’s tremendously rewarding delivering images to my clients that they will cherish forever. I love to work in the most creative and compassionate way I can capturing moments that display beauty and evoke emotion. 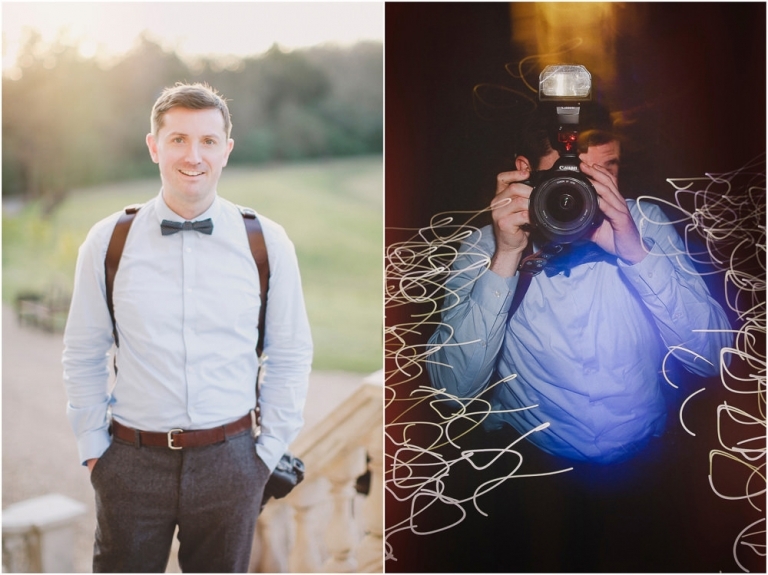 The last couple of years have been absolutely amazing for me and I'm delighted to be named as one of the UK’s Top 50 Wedding Photographers for both 2016 and 2017! On your wedding day I’ll allow the magic to unfold naturally, I’m just there to document it. If you like my approach please get in touch, I’d love to hear from you. To read what couples have to say about me please scroll down to read over 100 5 Star reviews. If you like my approach please get in touch, I’d love to hear from you.